Maharam "Plait Cobblestone" Modern Upholstery Fabric 4 7/8 Yards - Free Shipping! Maharam "Plait Cobblestone" Retro Modern Upholstery Fabric - 4 7/8 Yards - Free Shipping! This listing is for 4 7/8 yards of "Plait" in the "Cobblestone" colorway from Maharam. 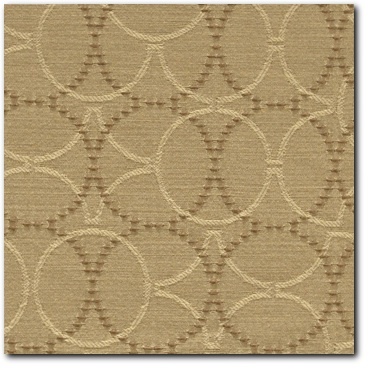 This is a popular new design from Maharam that is eco-friendly, inexpensive and very durable as well. Cool design with Tan field with Lt Tan design and Dk Tan dotted circles. You could pay $38.00 a yard (a $185.25 retail value!) at www.maharam.com, but why??? As always, we offer a premium fabric to our buyers for much less!